AIL LET 2019 Army Institute of Law will conduct the Law Entrance Test (LET) for the academic year 2019-2020. Through passing this AIL LET, candidates will be able to take admission in 5 year BA LLB and 1 year LLM course. Passing the test would be the pre-criteria for admission in BA LLB and LLM courses. Any candidate who completes his/ her 12th class from a Punjab School Education Board or a recognized board with at least 45% marks will be considered eligible participant for LET. You can expect the applications to be announced in the 04th week of May 2019. If the date remains the same, you should visit the link- Apply at ail.ac.in and complete the registration procedure timely to avoid paying the extra 1000 rs. Written entrance exam can be conducted in the 01st week of July 2019. Army Institute of Law took its shape in the year 1999 under the aegis of Army Welfare Education Society (AWES). 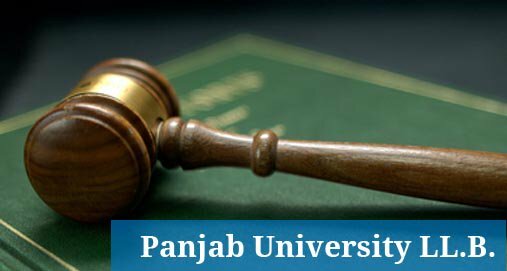 The Institute is affiliated to Punjabi University, Patiala and approved by the Bar Council of India. 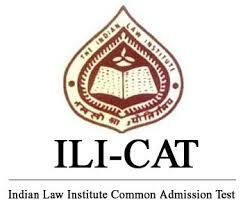 At present, the institute has become the symbol bearer of Centre of Excellence in the field of legal education. It has grade ‘A’ accreditation entitled by the National Assessment and Accreditation Council (NAAC). It offers a 5 year BA.LLB and 1-year LL.M course through a separate test called- AIL LET. The table below shows the expected schedule drawn from the previous year data available on the website. Kindly be informed that these dates may change in future. If that happens, we shall also make amends on this page. At iaspaper.net, you will always get updated information. For now, let us check the vital AIL LET 2019 Exam dates. Visit the official website at all.ac.in. Click Admission- 2019-2020, online registration Step-I shall appear. Fill the basic details such as- Name of the Candidate, Category, Date of Birth, Mobile number, Email Id. Note down the application number and password for Step-II. Step-II will involve filling rest of the details and uploading documents such as- the soft copy of recent passport size picture the (less than 80kb), digital signature (less than 80 kb), 10th mark sheet (less than 200kb), 12th mark sheet (file size less than 200 kb). Select category, nationality, date of birth, qualification, marks details. Test city selection- indicate the choices where you want to appear for the test. Payment- pay the processing fees using given methods. You will be able to pay the amount with the help of Internet banking, Debit/Credit Card. Offline fee payment will not be accepted. The criteria below show instructions apply to both the courses i.e BA LLB and LLM for appearing in AIL LET. Qualifying degree requirement- 12th pass from Punjab School Education Board or any other recognized board. Marks requirement- 45% in qualifying examination. 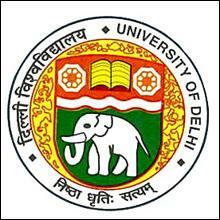 12th Appearing– candidates going to appear in the 12th board may also apply provisionally. Compartment- candidates with compartment will not be allowed to apply. Degree requirement- BA LLB (5 Years) or LLB (3 years). Minimum marks- 55% in the qualifying degree. As we have already indicated, that admissions will be based on the merit obtained in the written examination. So let us get you details of exam pattern. The test will have 200 questions divided into 4 sections in the question paper. Questions will be OBJECTIVE type of 12th standard level. Paper will be in the English language. You should be able to complete the task for the duration of 2 hours is a single sitting. Marking scheme would be like this:- +1 for correct answers and NO negative marks for incorrect answers. The question paper will have questions from subject areas like- General English, Law Aptitude, GK and Mental Ability. Since GK is a vast area to cover, you may begin your preparation for this subject. Dedicate equal time to each subject. Do not forget to read the newspaper each day. This will also improve your English section. There are many online platforms available for exam preparation as well. You can take help from those too. The Army Institute of Law mentioned in their prospectus that the questions asked will be of the 12th standard level. Therefore, you MUST cover your NCERT books AIL LET 2019 syllabus first. Law Aptitude– Legal and Constitutional History, Constitutional law, Political science, Sociology, RTI, Company law, Family law, Labor law, Jurisprudence, Law of property, Legal research methodology, Intellectual property law, Contracts, Law of Torts, Public International law, Administrative law, Criminal procedure code, Cyber laws, etc. General Knowledge– List of Important periods in ancient history/ medieval history and modern history, Geographical importance, Science and its contribution, Polity, Economy, Environment, and Ecology, awards and winners, global meetings etc. English- Comprehension reading, fill in the blanks, Spotting Errors/ Sentence Errors/ Improvements, Para Jumble, Fillers etc. 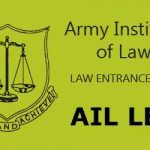 The Army Institute of Law will announce the AIL LET 2019 admit card availability. Carry the admit card on the exam day at the designated venue along with an ID proof. As the written mode exam may end on 01st week of July 2019, the candidates would want to know the solutions of all the 200 questions. Well! Good news! AIL shall publish the answer key as per the schedule online on its official website. You should download the answer key and match your solutions with the official one. If there is any doubt, you may be allowed to raise your objections within a prescribed format. Those candidates want to get admission in the BA LLB, LLM & Ph. D courses, they have to score qualifying marks or minimum cut off marks in the examination of AILET 2019. 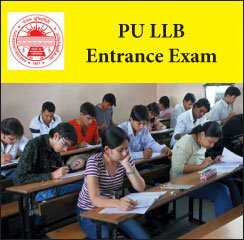 All of the candidates have to score the minimum marks to get admission in NLU to complete their law programs. The candidates who successfully complete their test will be able to see the status of their performance through the AIL LET 2019 Exam results. Results can be announced by AIL in the 01st week of July 2019. You will need Registration Number and Roll number to check your result. Take a print of the page to carry in the counseling. After the result declaration, Army Institute of Law will publish the merit list. This merit list is prepared for the purpose of sifting the exam qualifying candidates from all those who applied for the entrance. Usually, there is a qualifying marks criteria and some other criteria which as applied to prepare this list. This list will be published online on the institute’s website and then the Institute will announce the counseling procedure. In the counseling, vacant seats are offered to the candidates as per their desired course. There can be up to 2 counsellings arranged by AIL to fill the seats. For AIL LET 2019 Exam counseling, the venue is planned and here, documents are verified. See the list below. Upon document verification, the last step is to pay the course fee. Affidavit by parents whether the candidate has studied Punjabi at 10th level. The entrance test will be arranged in the cities across India. You have to be careful while selecting the test city location. However, the final decision for allotting the test city will be of AIL. For any other queries about AIL LET 2019, you can leave your queries below in the comment box.